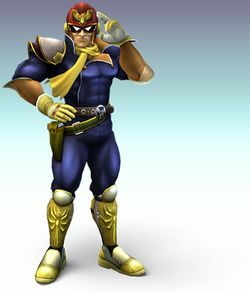 Captain Falcon returns for his third Smash Bros. appearance. He has the same moves as before, now with a final smash in which he hits foes with his Blue Falcon racer. 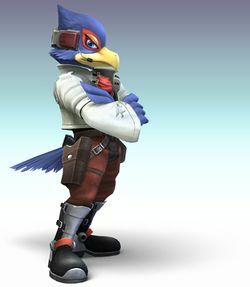 Falco Lombardi returns for his second appearance in the Smash series. He has the same moves as Fox; only some of those moves are modified. For example, his reflector gets thrown around deflecting projectiles. 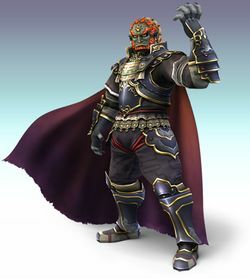 Ganondorf is back for more with his new costume from The Legend of Zelda: Twilight Princess. Watch out for his final smash which involves turning into a monster and smashing its foes. His moves are the same as in melee, just with more power. The Warlock Punch (like Captain Falcon's Falcon punch, only with more power) is slow, so when someone uses it, hit them before it connects. 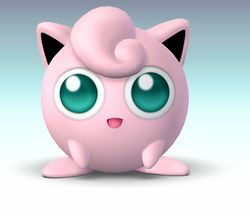 Jigglypuff returns to put its opponents to sleep with sweet songs. Its moves are primarily the same as they were in Super Smash Bros. Melee. Jigglypuff's Final Smash makes it grow very huge in an attempt to push players off of the edge of the arena. It then cries out its name and shakes before returning to normal size. 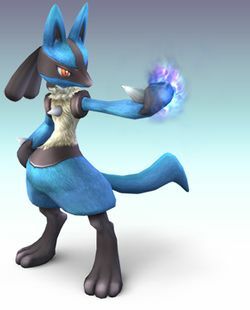 Lucario comes for the first time to the Smash series, replacing Mewtwo as a playable character. Lucario is a "high-risk, high-reward" character. He starts off weak, but the more he gets hit the stronger he becomes. If you use Lucario, take advantage of his counter ability and his aura sphere attack. The Pokémon's final smash will make a large destructive beam that is powerful and hard to dodge except by flying over it. 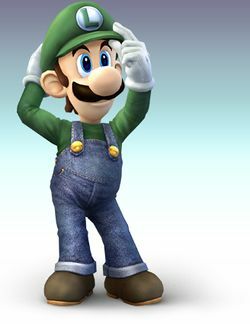 Luigi has returned once again to battle alongside his brother. In the Subspace Emissary, he was turned into a trophy by the bosses, but a badge restored him. He retains his moves from Melee, only with a different Final Smash. 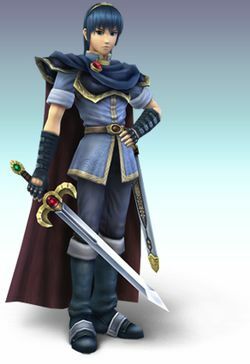 Marth returns for his second Smash appearance. Same moves as before only with a powerful final smash that must be avoided at all costs or you'll lose a life. 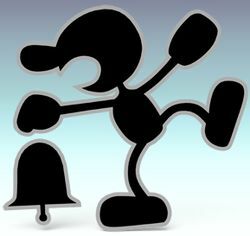 Game & Watch returns for his second Smash appearance. His moves are same as before, and his Final Smash turns him into a monster octopus that attacks and flies out of control. 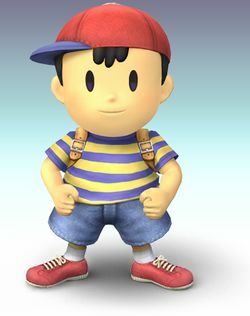 Ness reappears with his well-known PK attacks. They're the same as in Melee only with a final smash. 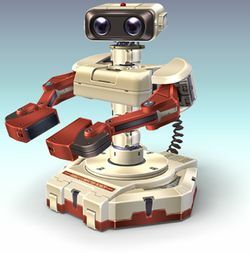 R.O.B. is a robot with excellent jumping skills and final smash. He has various laser attacks, including a powerful final smash. 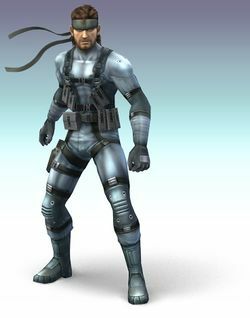 Solid Snake makes an unexpected appearance in Brawl, being the first third-party character to ever début in a Super Smash Bros. game. In Brawl, Snake does not use real-world guns, but still utilizes explosives. He has an amazing final smash, which uses a grenade launcher to smother opponents. 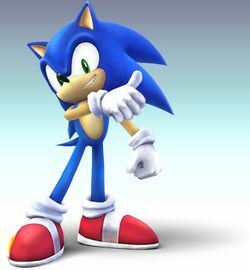 Sonic the Hedgehog makes his Smash début by popular demand. Sonic will utilize his well-known spin balls to rapidly attack his enemies. Extremely versatile and dangerous as a foe, his attacks are very fast and his final smash makes him fly anywhere, hurts enemies by touching them and even makes him temporarily invincible. Once unlocked Shadow the Hedgehog appears as an Assist Trophy. The version of Link from The Legend of Zelda: The Wind Waker appears in Brawl, effectively replacing Young Link. 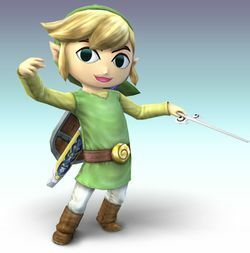 Toon Link's moves are exactly those of Link (Twilight Princess), except for his upper cut move. Although Toon Link is weaker than Link (Twilight Princess), he is still a very tough opponent if used correctly. If you use Toon Link as a character take advantage of his agility, and his super quick spin attack. He summons a Tri-Force symbol and hits his opponent about 8 times followed by a "super-blow" that sends them flying off the screen for his Final Smash. 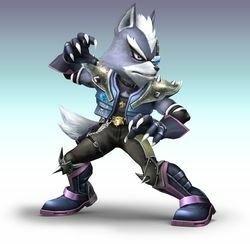 Wolf makes his first appearance in the Smash Series with Brawl. His attacks are a little more powerful than Fox, and his "lighting speed" attack hits diagonally. This page was last edited on 7 December 2014, at 00:02. This page has been accessed 17,332 times.